Authorities say the men were disguising the drug deal organization as KMKJ Trucking, and transporting large amounts of drugs into Maryland from Mexico. DEA agents received a tip about the company, and on Friday discovered nearly 60 lbs. of cocaine inside a vehicle leaving unit L at the alleged trucking company’s warehouse. Two days earlier, the men reportedly unloaded a tractor trailer at that same warehouse. Investigators also served a search warrant at one of the men’s homes, and discovered duffel bags in the basement containing more than $2 million dollars in cash that was vacuum-sealed, along with a ledger detailing the drug transactions. Those arrested in the drug trafficking scheme include 64-year-old Hector Hernandez-Villapando, two of his sons, and William Cornish, who news reports refer to as an accomplice. All of the men now face life in prison if convicted. While all drug charges are serious, those involving the manufacture, sale, and distribution/delivery are particularly serious and leave those convicted facing life-changing consequences. In Michigan, trafficking a substance such a marijuana, considered a minor offense by some, may land you in prison for four years. Delivering or distributing substances such as cocaine, methamphetamines, heroin, ecstasy, or other illegal drugs may result in a prison term of 20 years to life, depending on the facts of the case and quantity of the substance involved. 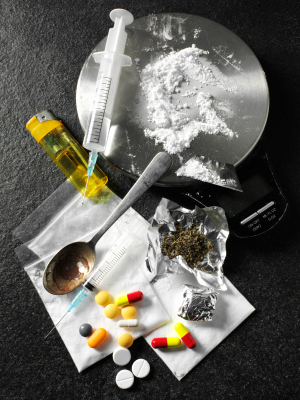 Regardless of the type or amount of drug you have been accused of trafficking, it is imperative to work with an experienced Michigan drug crimes lawyer who will protect your legal rights, investigate the charges, analyze the evidence, and work with you to determine the most effective legal strategy to protect your freedom and future. Drug trafficking does not necessarily have to end in decades or even a lifetime in prison, however you must choose a skilled and dedicated attorney to expect the best possible outcome.